Natural Power Ecology and Wind Technical teams launch new bat service to minimise fatalities and maximise energy yield. As wind industry ecologists eagerly await a new phase of good practice guidelines for bat conservation on wind farms, Natural Power’s team compounds its position in this area by launching a new and improved way of working to reduce fatalities whilst minimising impact on energy yield. Natural Power’s fifteen in-house bat experts will collaborate closely with the wind technical team to assess the effect of bat mitigation measures on wind energy yield, to the point of putting a value on curtailment methods in place, and planning the most effective strategies for maintaining and maximising turbine uptime. Natural Power’s Ecology and Hydrology department is one of the largest specialist teams in the UK and offers support based on over 150 years of combined industry leading experience. The team has delivered bat services to Keirs Hill Wind Farm, East Ayrshire, where a full baseline assessment was completed including the use of bat detectors at height, and preparation of the impact assessment as part of the environmental survey. Also, at Twin Rivers Wind Farm in Yorkshire, the team is ensuring that bat issues are properly dealt with during construction. 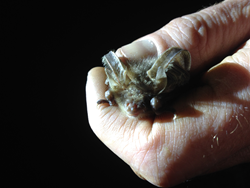 It is expected that the Bat Conservation Trust will launch new, more stringent, guidance in relation to bats and wind farms in May, and the industry should be prepared to adhere to these new requirements. Natural Power has been at the heart of many groundbreaking projects, products and portfolios for more than two decades, assisting project developers, investors, manufacturers, research houses and other consulting companies. With its iconic Scottish headquarters, The Green House, Natural Power has expanded internationally to work in 32 countries, and now employs over 320 renewable energy experts. This project experience spans a portfolio of 69GW which is equivalent to powering 4.7m UK homes.